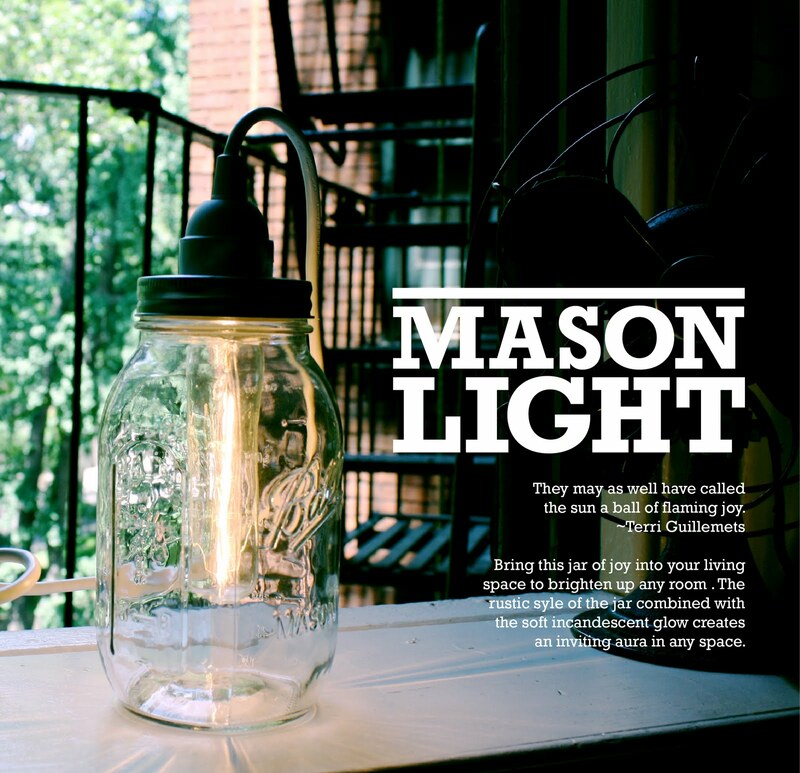 Yesterday was the first round selling my Mason Lights at the Astoria Flea Market. Everyone seemed interested and intrigued by the lamps and had a few buyers. I have a bunch more to sell and I plan on making more. 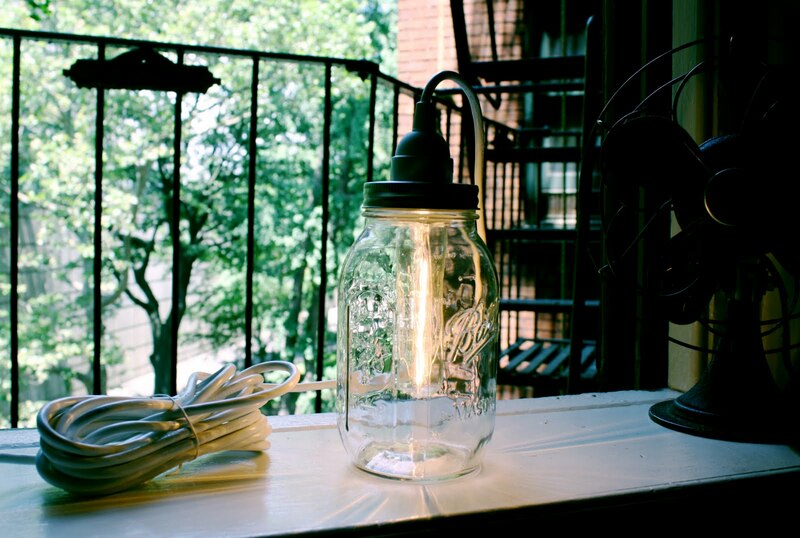 I'm also thinking of expanding the line to other jar shapes and making more Solar Sun jars. 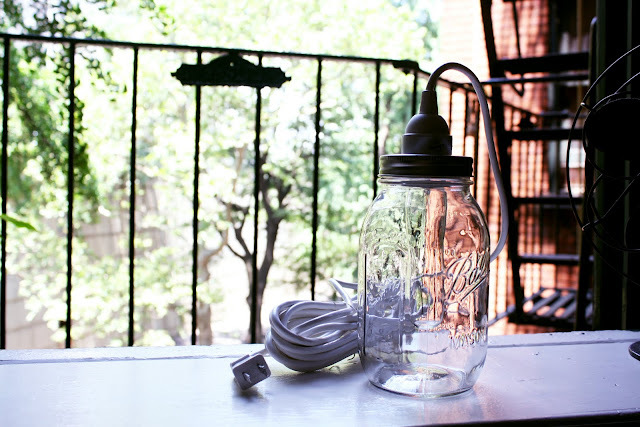 I should probably set up an esty shop. 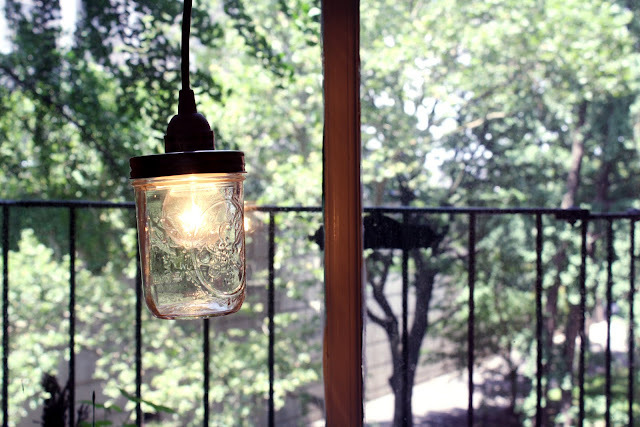 For now, if you want a jar, email me. Here are some pictures of the jars in action. 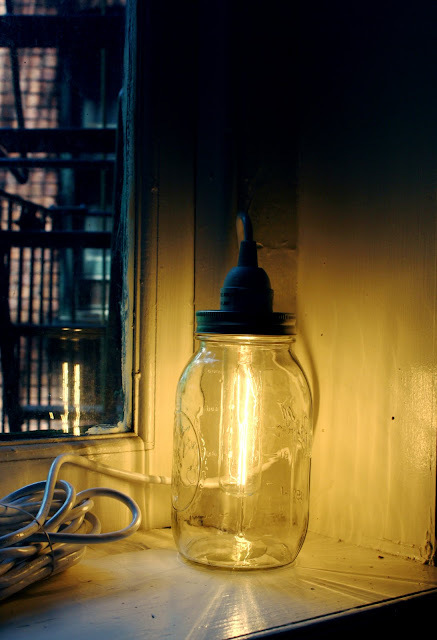 1/2 Pint and 1 pint jars with 25-40W incandescent tube lights and ball lights.